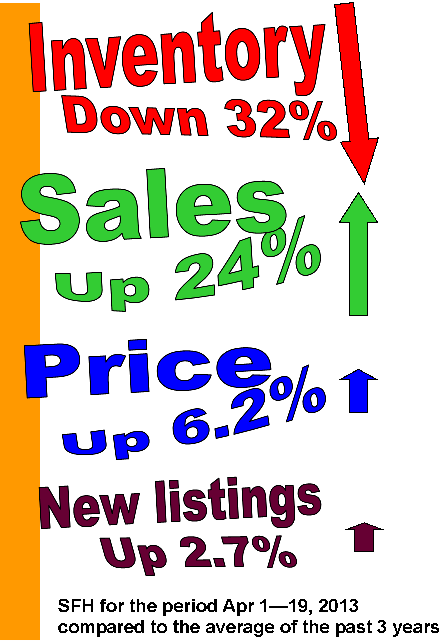 Despite more new listings, inventory continues to drop because of the increased sales. The demand for homes in Calgary is resulting in numerous bidding wars. Yesterday, 25% of all sales were for list price or higher. A home in Scenic Acres which was listed for $458,000 had an accepted offer after one day on the market and sold for $468,000. It was purchased in 2001 for $209,000. A tear-down on a 50′ lot in Montgomery also sold in one day. It was listed for $419,000 and sold for $432,500.